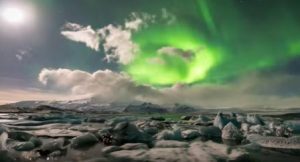 The natural beauty of Iceland, Alaska, Greenland and Svalbard are captured magnificently in these drone aerial videos. Perhaps it’s the pristine, clear air which makes it easier to film in these regions or maybe it is hard to film badly in such beautiful surroundings. For sure, drones are bringing beautiful images of far out regions right into our living rooms. The latest drones have technology such as six axis gyros for perfect stability and 4k cameras which make it very easy for beginners with a little practice to capture beautiful aerial film. Now, lets move straight to these aerial videos of our cooler but extremely beautiful northern countries. This first aerial video captures the pure natural beauty of Iceland magnificently. This professionally filmed aerial over Iceland features 20 scenic locations includng Skogafoss, Bruarfoss, Fjadrargljufur Canyon, Kerid, Jökulsárlón, Godafoss, Folaldafoss, Laekjavik, Reykjanes, Thorsmork, Öxarárfoss and Hvítserkur. This was filmed with a DJI Phantom Vision 2+ drone. The quality of this aerial video is very good. However, drone innovation has moved on a lot since July 2014 when this was filmed. The cameras today can film in 4k video and have wider camera lens which means you don’t have any barrel fisheye distortion. Imagine what this video would be like filmed with the latest top drones such as DJI Phantom 4 Pro and Mavic Pro. By the way, at the end of this article is another very stunning video of Iceland. Here are some terrific aerial views of Alaska featuring places with great names such as Hatcher Pass, Flat Top Mountain, Little Susitna River, Artic Valley Ski Area, Whittier / Portage Glacier. Svalbard is a Norwegian archipelago in the Arctic Ocean. Situated north of mainland Europe, Svalbard is about midway between Norway and the North Pole. It has the northernmost settlement in the world with a permanent civilian population. An abundance of pure water, clean air, natural wildlife and great scenery. This scenic drone video of Svalbard features Bråsvellbreen which is a glacier in Nordaustlandet. The glacier is a 45 kilometers long. Other aerial scenes are of Hamiltonbukta, Alkefjellet bird cliff Spitzberg. Next are 2 terrific and very scenic Greenland drone videos. This first scenic aerial video is from the Isunngua Highlands which is a region which extends to the edge of the Greenland ice sheet. With just over 56,000 residents, Greenland is the world’s most sparsely populated country. It is full of natural rugged wild beauty and its culture is a mixture of Inuit and Danish. The below Greenland aerial video was filmed with GoPro Hero3+ camera (2.7k 30p medium and wide) on a DJI Phantom 2 drone equipped with H3-3D gimbal. This was filmed in September 2014. With the latest Phantom 4 Pro drone, the quality of this fantastic video would would increase tremendously. This next video from Greenland features some stunning aerial videos glaciers and icebergs. Iceland is so naturally beautiful, I just had to feature another video. This was filmed by FStoppers with a Phantom 2 drone with Zenmuse H3-3D gimbal and a GoPro Hero 4 camera.